In mid-July, Changchun Changsheng Bio-tech Co of Northeast China’s Jilin Province, a major vaccine producer listed on the Shenzhen Stock Exchange, came under fire after investigators found it had forged records for human rabies vaccines and supplied ineffective DPT (diphtheria, whooping cough and tetanus) vaccines to the domestic market – vaccines used as part of the nationwide mandatory inoculation of babies and children. Shortly after, the police bureau in Changchun, Jilin, launched an investigation that resulted in numerous arrests of top company officials. Then another major vaccine producer, Wuhan Institute of Biological Products Co Ltd was also found to have produced substandard DPT vaccines. It was not a routine inspection but a tip-off from an ex-Changsheng employee that revealed irregularities in the company’s vaccine production, prompting China’s drug watchdog, the State Drug Administration (SDA), to carry out a spot check on July 15th. The inspection found the company had fabricated production records for freeze-dried rabies vaccines for human use, the SDA said. Since the process used to make rabies vaccines violated manufacturing standards, the SDA revoked Changsheng’s Good Manufacturing Practice (GMP) license to produce the vaccine. The company has since been under investigation by the China Securities Regulatory Commission for violating rules and for irregularities in information disclosure. 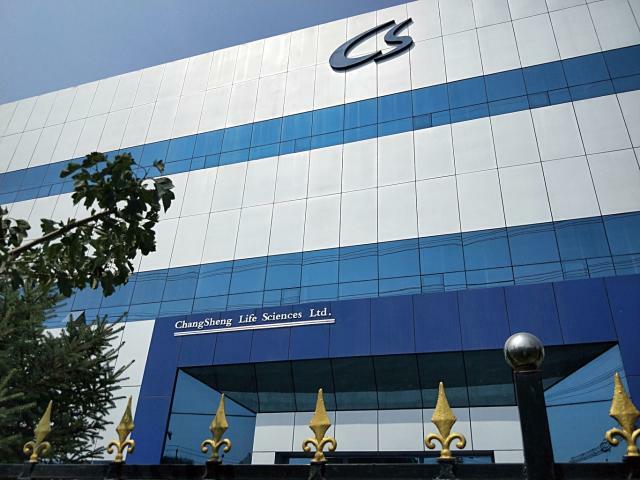 Under pressure, Changsheng recalled its rabies vaccines and apologized to the public for the incident, telling investors that it might be delisted. Changsheng’s stock price plummeted by more than half its value since mid-July. The issue escalated when a few days later, the public learned that the SDA’s sampling inspections in October 2017 had also found a batch of DPT vaccines produced by Changsheng did not meet potency standards, and production was suspended. It was only on July 20 that the Jilin Food and Drug Administration finally fined Changsheng 3.44 million yuan (US$ 0.5m) for its misconduct. Evidence of the production records, their whereabouts and whether these substandard vaccines had been recalled was still unclear. The SDA announced on July 22 that 252,600 doses of Changsheng’s ineffective DPT vaccines – which inoculate children against diphtheria, whooping cough and tetanus – were all sold to China’s eastern province of Shandong. According to SDA experts, the substandard DPT vaccine could make people more vulnerable to the diseases, but it was unlikely to directly threaten people’s health. 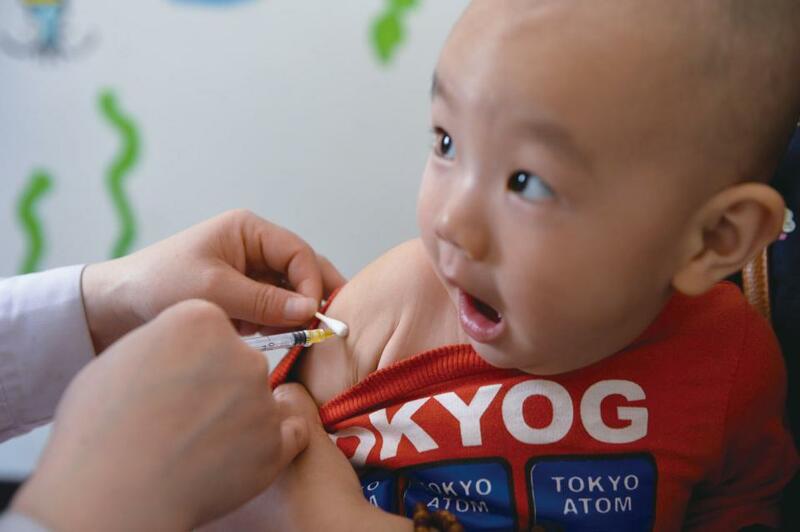 According to the latest press release from Shandong Provincial Center for Disease Control and Prevention, a total of 215,184 children in eight cities inside Shandong had been given the substandard DPT vaccines. The SDA said a plan to reinoculate those affected children was worked out in February this year. However, this was not publicly released. Changsheng chairwoman and majority shareholder Gao Junfang did not answer repeated calls from NewsChina on July 23. Around 11am a police car was seen driving into the company. An employee in the Changsheng sales department told NewsChina a vaccine recall had been undertaken to meet the drug authority’s investigation. “The authorities required a recall of all of Changsheng’s vaccine products after the recent event, not just the problematic ones,” the source said. The vaccine scandal fueled widespread public anger, particularly after the previous DPT case was disclosed. The nine-month gap between the drug authority’s investigation into the sale of a quarter of a million doses of vaccine and the public being told about it was a source of particular ire. Furthermore, Changsheng failed to mention it in its 2017 annual report. After the disclosure, another ineffective batch of DPT vaccines surfaced – this one from Wuhan Institute of Biological Products Co Ltd in Hubei Province – which was discovered in November 2017. According to the SDA, spot checks in November 2017 found that due to a temporary failure of the packaging equipment, 400,520 doses produced by the company failed to meet quality standards. These recent disclosures were interpreted by the public as more examples of fabricated vaccines, which have been a long-running issue in China. There were calls on Weibo, China’s twitter equivalent, to boycott domestic vaccines. Industry insiders were concerned about whether the final investigation would give the public, and in particular the children who had taken substandard vaccines, a clear explanation. “From a scientific perspective, it needs to be clarified whether the vaccines were effective – and whether re-inoculation was required, and if so by how many doses,” said Tao Lina, an industry insider and vaccine expert. Mao Qun’an, the National Health Commission’s disease control chief, said on July 17 that those who had not yet finished taking the whole course of Changsheng rabies vaccines could choose a rabies vaccine from another company instead. But for those who have taken the whole course, no authority could give advice on what to do. 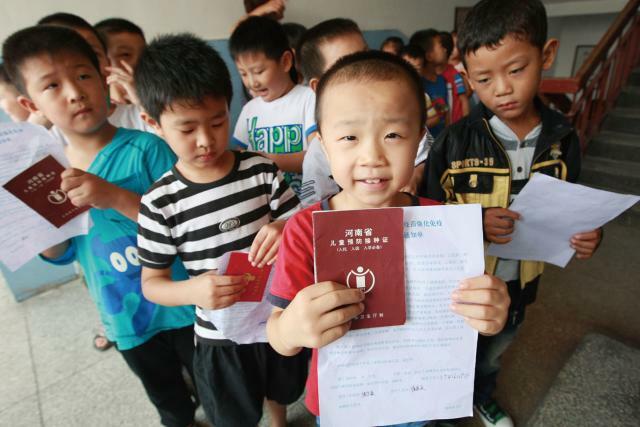 “There are many Chinese people alive today who would not be, if not for immunization. While the events at Changchun Changsheng Life Sciences Ltd should never have happened, the fact that the anomalies [of the DPT vaccine] were detected by the regulators – and responded to quickly and robustly once so – shows that the regulatory authority’s system of checks and balances to protect population health is working,” added the WHO in the statement, which did not mention the fact that a whistleblower had revealed the anomalies with the rabies vaccine. Inside China, private drug companies have boomed and since the GMP certificates began being promoted by the State drug regulator, domestic drug companies have started to go global. Before 2005, imported vaccines dominated the Chinese market. It was in 2006 that Liaoning Chengda Biotechnology Co., Ltd became the first domestic producer for rabies vaccines for human use. The authorities adopted compulsory tests and rectification processes for each batch of vaccine that entered the market. Despite the regulations, numerous scandals over fake vaccines have erupted since then. In late 2016, a case of fake rabies vaccines in Heilongjiang Province was uncovered. In February 2009, 11 batches of freeze-dried rabies vaccines for human use produced in 2008 by Liaoning Dalian Jingang Andi Biotech Co Ltd were found by the authorities to have illegal additives of nucleic acid, a material which could enhance the vaccine’s potency if the effective content of the vaccine is lower than the standards. According to Tao Lina, adding nucleic acid, a practice not approved in China, could lower production costs by one-third. In December 2009, a total of seven batches of more than 210,000 doses of rabies vaccine for human use by Jiangsu Yanshen Biotech Co Ltd and Hebei Fuer Drug Co Ltd were found to not meet national potency standards. 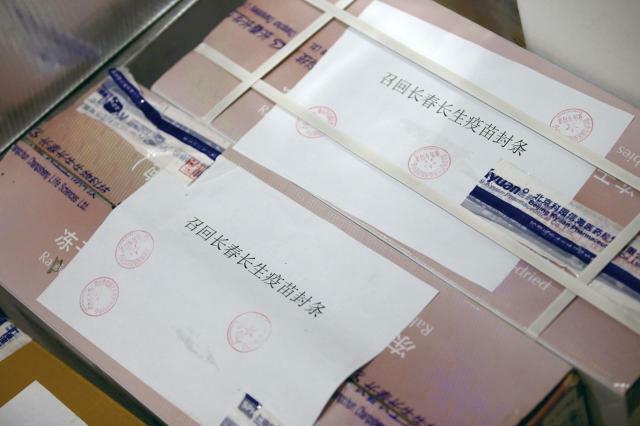 Later on, according to Jiangsu Provincial Food and Drug Administration and the local public security department, Jiangsu Yanshen had broken the law by using inferior materials, fabricating records, and evading supervision. Their substandard vaccine products were sold to more than 21 of China’s provinces. These fabricated rabies vaccines claimed lives, like the five-year-old boy who was bitten by a dog in a rural village in Guangxi Zhuang Autonomous Region in December 2009. He died three weeks later, despite being administered a rabies vaccine at a local health center. Investigations revealed a total of 13 township level health centers and 20 village level health centers had purchased vaccines through illegal market channels. More than 1,000 doses of ineffective rabies vaccines were confiscated. Eight people were ultimately sentenced to prison. 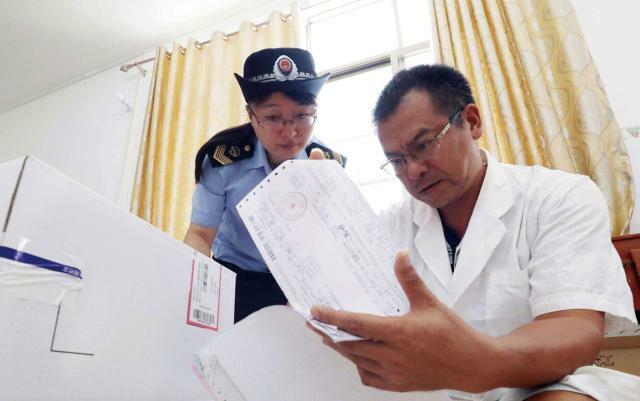 In March 2016, police in Shandong Province discovered 22 types of illegal vaccines – including those for influenza, hepatitis B and rabies – with a market value of more than 570 million yuan (US$83.44 million), which were sent unrefrigerated to more than 20 provincial regions, including Anhui, Beijing and Fujian. Since then, the circulation of vaccines has gained the attention of regulators who have imposed stricter rules on local government procurement procedures, and improved monitoring of what is called the “cold chain” for vaccine transportation. “Addressing this recent vaccine scandal issue, the authorities should disclose the investigation results in a timely manner and punish any crimes,” sad Tao Lina, adding that the best way to rebuild trust was transparency and real action from the government. saying they could substitute the rest of the course with a different brand. As of August 9, there was no further information on the investigation or handling of the Changsheng executive personnel. Then on August 16, a meeting of the Standing Committee of the Political Bureau of the Central Committee of the Communist Party of China presided over by President Xi Jinping heard reports of the investigation and announced punishments for the officials involved. Vice governor of Jilin Province, Jin Yuhui, who was responsible for the food and drug administration in the province, was removed from his post. In total, around 40 government officials, including seven at and above the provincial level, have been held accountable. Three senior officials were ordered to resign, including Bi Jingquan, head of the former State Food and Drug Administration, former Jilin vice governor Li Jinxiu, and Changchun Mayor Liu Changlong.